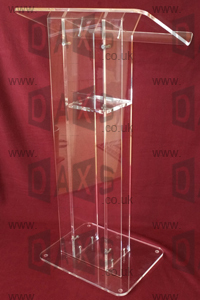 Sleek, modern pulpit in crystal clear 15mm acrylic. 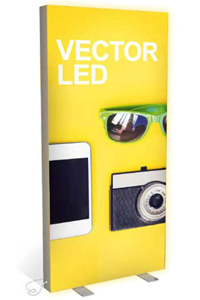 Easily assembled (and dismantled as required for transport or storage), with large top (600mm x 380mm) and approx 1050mm high to lowest edge of reading surface. 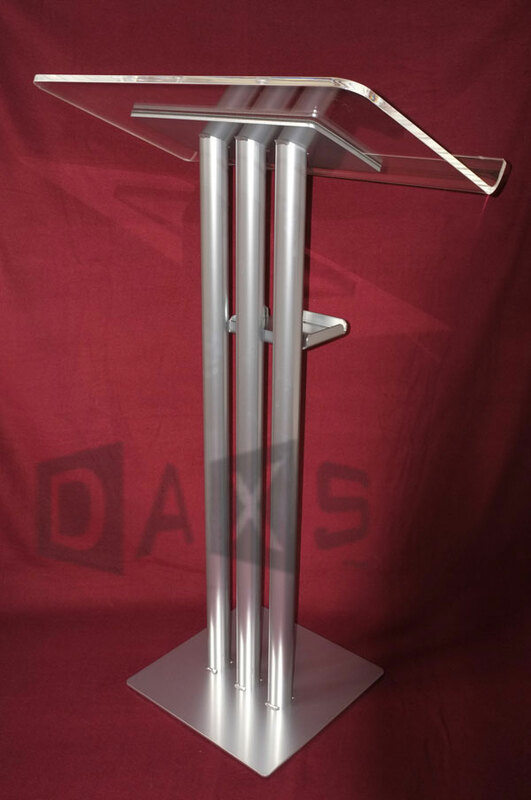 A small drinks shelf is incorporated within the central column, and there are various options for adding a printed logo / branding (artwork required). Latest version now includes a detachable clear acrylic front panel as standard (or optional shaped frosted or semi-transparent gloss 'black' acrylic fronts) for adding a logo / branding. 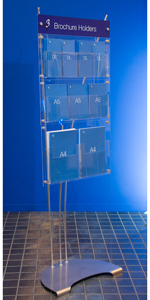 Or, if you need to easily customise the pulpit for different clients or events, an A3 magnetic poster display frame can be mounted to the front.